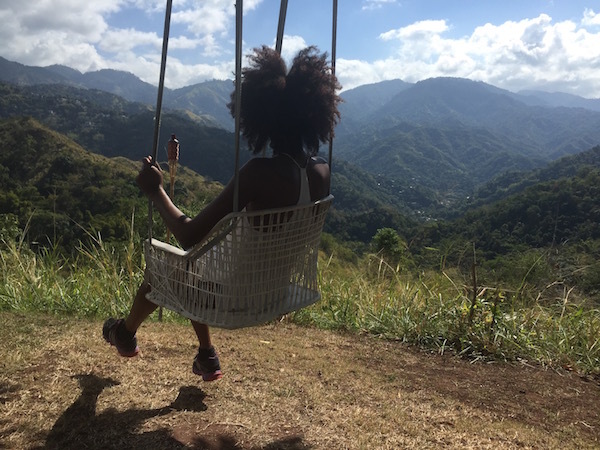 Looking for cheap accommodation in Jamaica is a challenge. Many of the places we were looking at around Kingston and Jamaica had prices at $200-400 per night, which exceeded our budget tremendously. 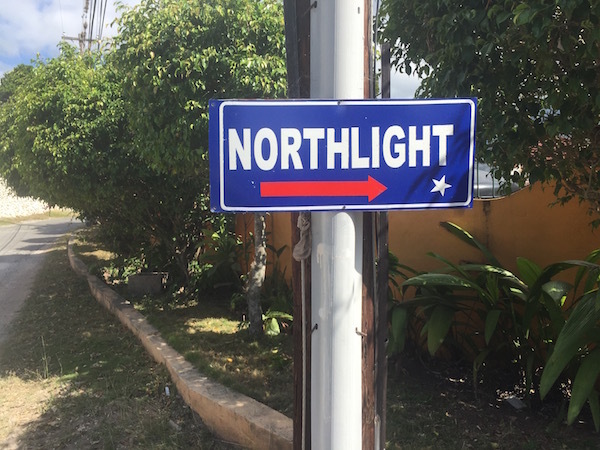 We found a place called North Light which was said to be in Kingston. They did have 2 locations, the first being Barbican. Our location was in a place called Jack’s Hill. You can see a video highlight below. 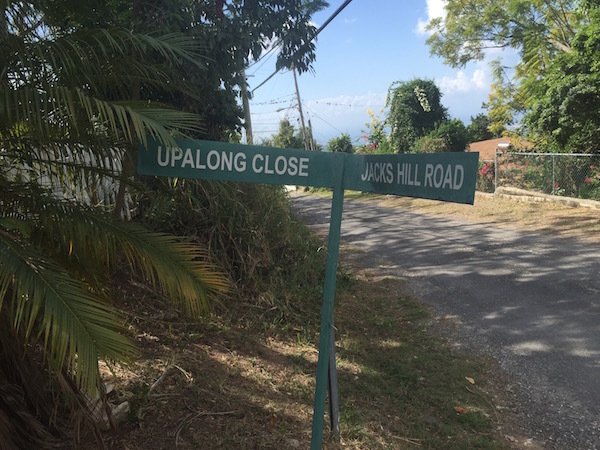 Jack’s Hill is situated up a mountain. 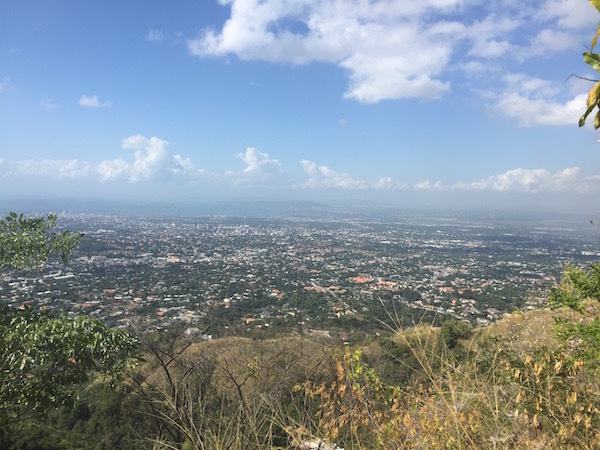 Below is a photo showing the view of Kingston by day. View of Kingston from Jack’s Hill. If you want to get there, you need to get the local taxi or bus. The owner also offers it for $10USD one way. You can see its location in respect to Kingston’s centre ‘Halfway Tree’. We stayed at the location a few times and it was the cheapest accommodation that we could find in Jamaica. We had to hire a car while we were there since getting around from that location was too far out the way for what we wanted to do and see. Once we had the car, commuting from Jack’s Hill wasn’t to much of an issue. The place is located in a tranquil area on Jack’s Hill which oversees the blue mountains. There is a swing out the back and if you want to enjoy yourself in peace, then this area will offer that to you. Stephanie on the swing at Jack’s Hill, Northlight. The accommodation was OK. Don’t expect to get something glamorous, but it is OK for a few nights sleep. The first room that we had was upstairs overlooking the Blue Mountains. The bed was fairly comfortable. There was a shared bathroom and toilet with the other guests and the caretaker, as well as a shared kitchen. Mosquitos are a problem, so you need to make sure you have your mosquito repellent and make use of the mosquito net to avoid getting bitten. The place was fairly clean. I would try to keep in mind that this was budget accommodation. Some things that they need to improve (and that guests need to be wary about before purchasing) is the following. The water was turned off at night. This meant that if we went to use the toilet during the night, we would be unable to flush or wash our hands. Being a shared bathroom, this was an unpleasant experience. Other guests (or the caretaker) leaving their clothes and underwear to dry in the bathroom. Not a good first impression. Guests and the caretaker smoking weed inside and outside the rooms. Since we are non-smokers (and the fact that it is also illegal), it was not something that we wanted to associate ourselves with during the trip. We returned on our last night after booking the accommodation over a week beforehand and paying in advance to arrive and find that our room was taken. I’d agreed and dated our arrival for the caretaker per his requirements and his lack of professionalism lead us to stay in a room that didn’t meet our expectations. All in all, if you are on a tight budget, you can opt to stay. Although I would recommend staying at the one in Barbican if you do plan to explore Jamaica. You will pay the difference when commuting anyway. If you stayed in North Light, why not share your experience with us in the comments below.